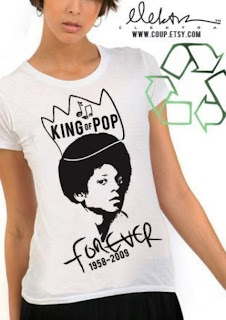 Best MJ tribute t-shirt on Etsy so far belongs to Elektra of Coup in NYC. 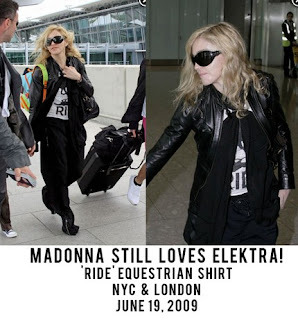 She should know a thing or two about t-shirt designs as Madonna wears her RIDE equestrian themed one as you can see. Free global shipping is also a winner in my book, I wish I could offer it but me plates are a tad too heavy!